When do you need Comet Database ? Windows operating systems with NT kernel 5.0 and higher (Windows 2000, Windows XP, Windows Server 2003, Windows Vista, Windows Server 2008, Windows 7, Windows Server 2008 R2, Windows 8 , Windows Server 2012). Minimum required SQL configuration: MySQL server of version from 5.0.37 or higher. download from here : Download of Microsoft SQL Server Express). Valid licence code is required to run the following programs. - Basic pack CDB already contains 1 license of DBV Database Viewer. Program runs only with purchased license key. 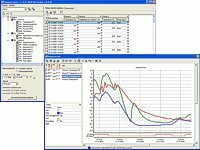 Description of program CDB Sensor Monitor and DBV Database Viewer. Each purchased database program DBS Sensor Monitor already contains one licence of DBV Database Viewer. Each purchased program DBL, DBM includes functionality of DBV database viewer. Program already contains functionality of DBV Database Viewer. 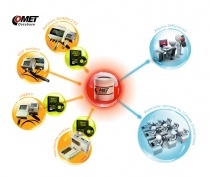 - database program for COMET dataloggers MS5, MS6, MS2+, MS3+, MS4+, version 4.0.12.0. Description of DBM MS Logger Program.